Greetings Yall! I'm bringing you the second installment of my denim daze series. In case you missed the first one it can be found here. For this series I am using a denim Levi's shirt, three different ways to showcase its versatility and ease. 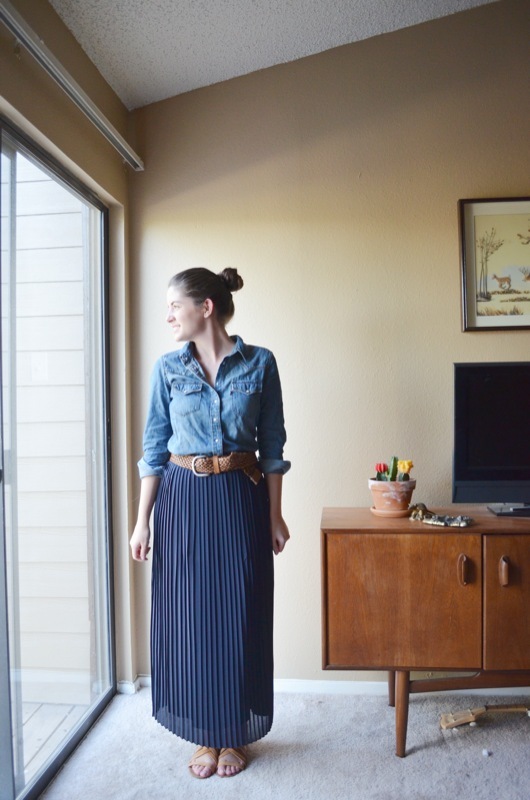 For this outfit, I chose to pair the shirt with a long pleated navy maxi skirt from J. Crew Factory. I love J. Crew Factory! They are constantly having sales and always have an amazing inventory of goods. Plus, it is a good way to catch things you might have missed from the J. Crew store. 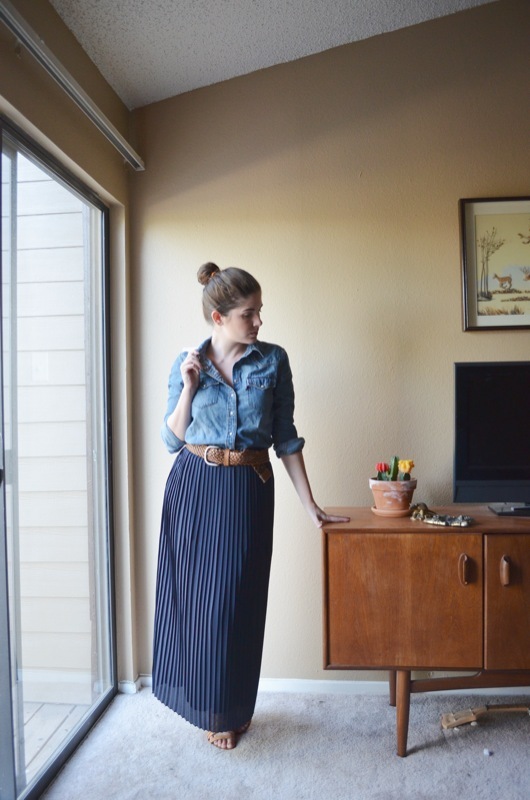 I topped it off with a belt I bought many moons ago and some sandles I recently purchased on Hautelook since it is still pretty warm outside. Are you signed up with Hautelook? I love checking their sales every few mornings and scoring great deals!